$30.00 In stock. Order in the next 7 hours, 57 minutes and it will go out today! 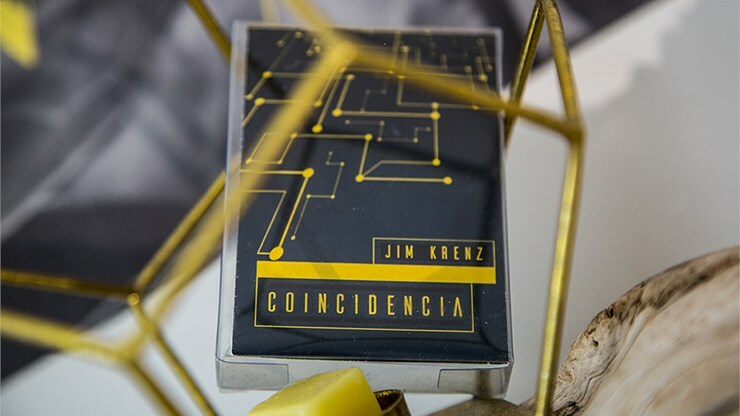 Special offer: Every purchase of Coincidencia includes Jim's bonus routine, "Poker Coincidencia." This fabulous effect has legitimate shuffles and cuts, yet the audience deals their own chosen poker hand. For the climax, you reveal that they, the audience, has also dealt you a Royal Flush! Did we mention that the shuffles and cuts are real? What we all seek in the close-up arena are closers. Logically, you can only close your show with one trick, but we hope you’ve come to the same conclusion we have: that our time with audiences is short, and every trick you do must be a closer. If it isn’t hard-hitting, it has no place in your show (or on the Vanishing Inc. Website). 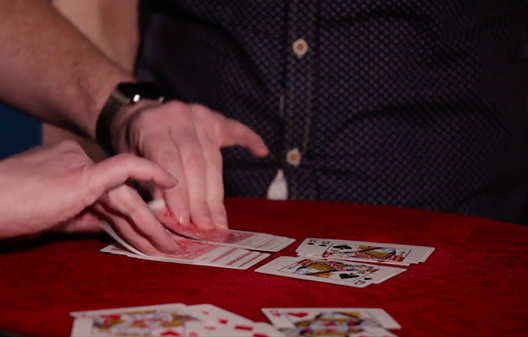 So, with that in mind, we give you “Coincidencia,” which is acclaimed magician Jim Krenz’s closing piece, and the kind of trick that is so utterly impossible that your spectators will remember it forever. It begins with a fascinating premise and prop: a deck of cards that has been literally cut in two. Despite completely fair mixing and shuffling, you cause a chosen half-card to find its mate. After two more impossible matches, In a gorgeous finale, EVERY SINGLE half-card finds its mate. 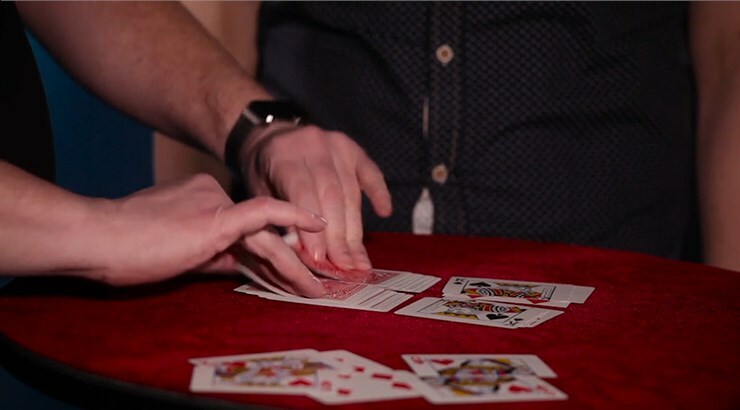 Kieran asks: With this trick can the deck be examined by the spectator afterwards? 1. 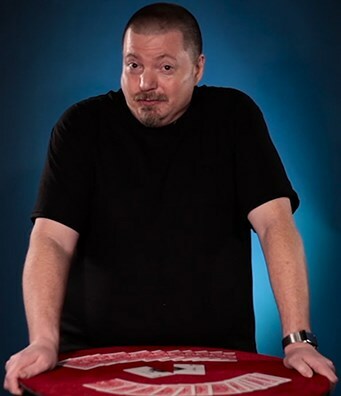 Jim answers: Yes, at the end of the routine, without any switches or ditches, all that the audience will be able to find are a deck of cards that have been cut in half. No sticky or rough stuff. No duplicates or extras. They are as innocent as one could wish for. John asks: I have a friend who bought this awhile back, and the cards were not cut to the appropriate tolerances to work correctly. Has the manufacturing issue been addressed? Thanks! 1. Jim answers: Yes it has been addressed. It was only one batch, and the rest work well. Please let your friend know that if he sends back the bad set, Vanishing Inc Magic will be happy to send a replacement. Love how this trick works. This reminds me of several of Steve Beam and Nick Frost routines. Still very well done. I purchased this today and watched the video. I've been performing Aldo Colombini's Jumbo Coincidence for years (that's the final phase of this trick). Everything else he has added to this routine has made this a working masterpiece. I can't be more proud of this purchase and the level of detail that went into creating this effect. One of the best, and most mind-blowing effects I've ever bought. -easy to do, hard to figure out - a fabulous effect. -it looks completely fair to the spectators. -each card can be inspected right away. not impromptu. You cannot use any deck of card for the performance.